Before writing on albums, I like to do as much research as I can and learn what went into the song writing, what happened during the recording of an album and so on. 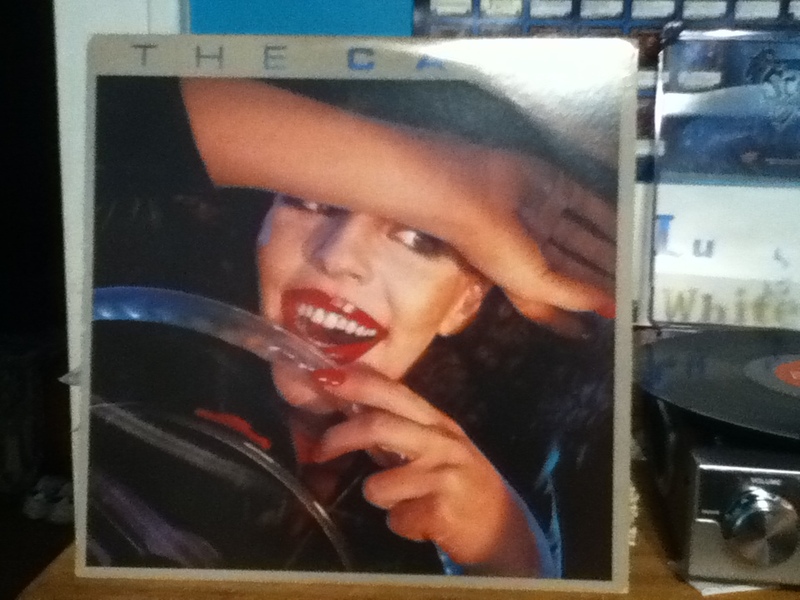 With The Cars self titled debut album, there wasn't a whole lot to find. The demo of Just What I Needed got heavy air play in the Boston area resulting in the band signing with Elektra Records in 1977. In June of 1978 The Cars was released. The album peaked to #18 on Billboard's Top 200 and stayed in the ranks for 139 weeks and went platinum in four countries. The album is loaded with songs that continue to get heavy air play and although only three of the songs were released as singles, three others became notable radio hits. This album always seemed to be ahead of its time to me. Not just because it was a part of the emerging synth/new wave movement, but the songs just sounded years ahead of what the music scene was like in 1978 and they hold up incredibly strong today. Anybody who didn't know better would could easily think that these songs came out of the mid to late early 80's rather than the late '70's. I feel the same way about The Cars follow up album Candy-O. I associate these songs with the 80's more than I do with 1978 and '79. This album and these songs make it into the discussion when talking about timeless classic rock. One thing you will get from me a lot is how a band or specific album has a way of getting me back into a centered mood, getting me out of pissy and bummed out attitudes. This band, this album does that for me. Bye Bye Love is my favorite song, it's what I wake up to every morning when I have to get up for work. It is that one song that I can count on over any other to break me out of a bad funk. I can easily listen to this album from start to finish half a dozen times in a row without skipping over songs or getting tired of hearing it. This could very well be my favorite album of all time.